#Hashtags are like unicorns: you know them when you see them. And if you spend any amount of time on social media, you’ve definitely seen them…everywhere. That’s because 71% percent of people on social media use them. Until 2007, # was simply a key you pressed on your phone to confirm your password or take some other telephonic action. Now hashtags are the bumper stickers of the digital world. Practically speaking, hashtags are an efficient way to tag and categorize words and phrases on social media. On a deeper level, using the hashtag symbol can tie together discussions taking place around the world, across multiple social media platforms–like Twitter, Facebook, Instagram, or Pinterest–for a larger, unified discourse. Individuals, groups, or businesses can start a conversation online and drive audiences to that conversation, while cutting through the noise. All with a #. Aside from enabling users to navigate social media more efficiently and have a voice that extends beyond their friends and followers, hashtags are a popular and potent tool that can take a brand, product, or concept viral. That’s why marketers love them. By 2014, hashtags were so common that 57% of Super Bowl ads that year used them. That’s a big deal. Hashtags connect people, ideas, businesses, and causes. What could possibly go wrong, right? Well, as with all things, there are those hashtaggers who choose the dark side. These people or businesses purposefully use a popular or trending hashtag even though it has nothing to do with what they are promoting. It’s just another form of spamming. Delightful! Then there are the attention-seeking trolls, or members of the public who use brand-generated hashtags to create viral bad publicity or to be snarky, destructive, and/or hilarious (think fake Amazon reviews). And, of course, we’ve seen those brands that “borrow” a hashtag. This can happen with trending movies, songs, events, or TV shows like Game of Thrones. In this instance, one brand exploits the hashtag of another brand to expand their audience. It can result in some entertaining social media, provided there’s content around the hashtag that makes sense of using it. 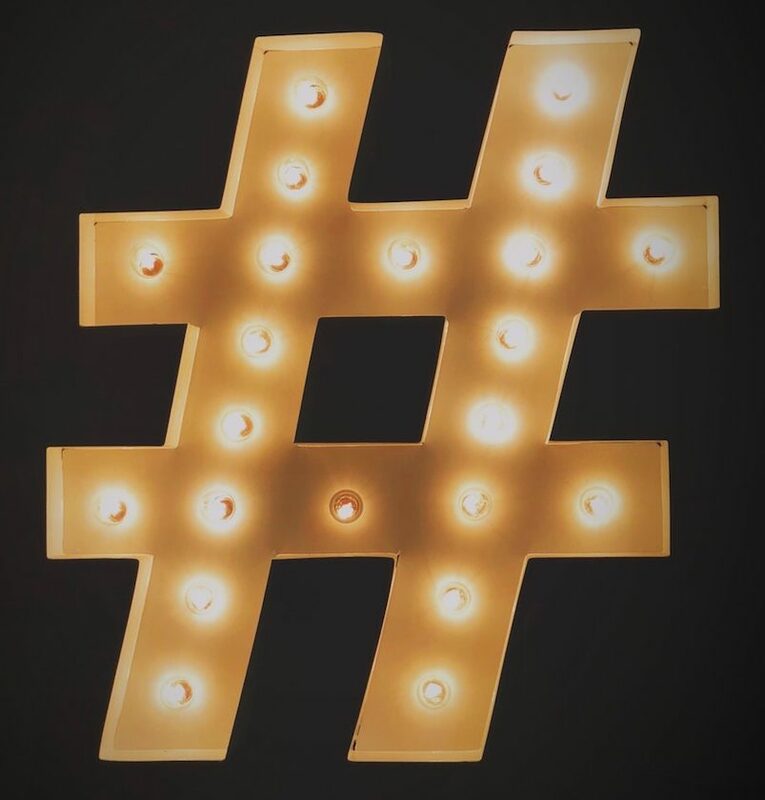 While the future of hashtags is uncertain, it’s safe to assume that brands will continue to leverage this form of exposure, and hashtags will continue to capture valuable data for marketers. As we’ve seen in recent history, they have also become a growing tool for global activism and, until there’s peace on Earth, will continue to be. As for the cha-ching factor, everyone is trying to figure out how to monetize hashtags, so stay tuned on that front! When creating a hashtag, make sure it’s not already in use (search.twitter.com or hashtagify.me) or can’t be used for something potentially embarrassing. Finally, if you love infographics like I do, here’s a helpful one from Twitter that outlines the hashtag selection process. I love hashtags. I use them professionally and personally. They can be the perfect punch line and distill a lofty concept down to a few carefully chosen characters or words. As Julia Turner noted in her New York Times Magazine essay, #InPraiseoftheHashtag, the hashtag has evolved into a “form that allows for humor, darkness, wordplay and, yes, even poetry.” It’s worth a read. Need help with your next social media campaign? Contact AMJ to learn about our expert services.